Equine healer and trainer Victoria smith invites you on a journey of awakening and enlightenment. With over 22 years experience working with these wonderful creatures and an impeccable history to date Victoria has trained and rehabilitated some of the most damaged and difficult horses. Using holistic and alternative therapies Victoria has healed many written off horses to go on and live a pain free happy life. 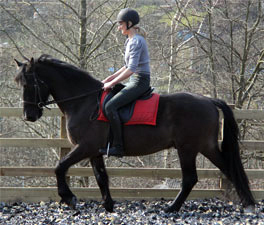 She works closely with partnerships to fulfil the most trusting complete unity with horse and rider. 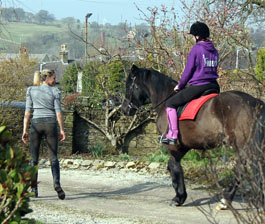 Victoria Smith is based in the North West of England and can easily travel to Ormskirk and the counties of Lancashire, Cheshire, Cumbria, Yorkshire, Staffordshire and Derbyshire for her services which include: Horse whispering; Horse behaviour problems; Problem Horses; Horse won't box; and most other horse issues. To contact Victoria about seeing you in Ormskirk please use the Contact Form.